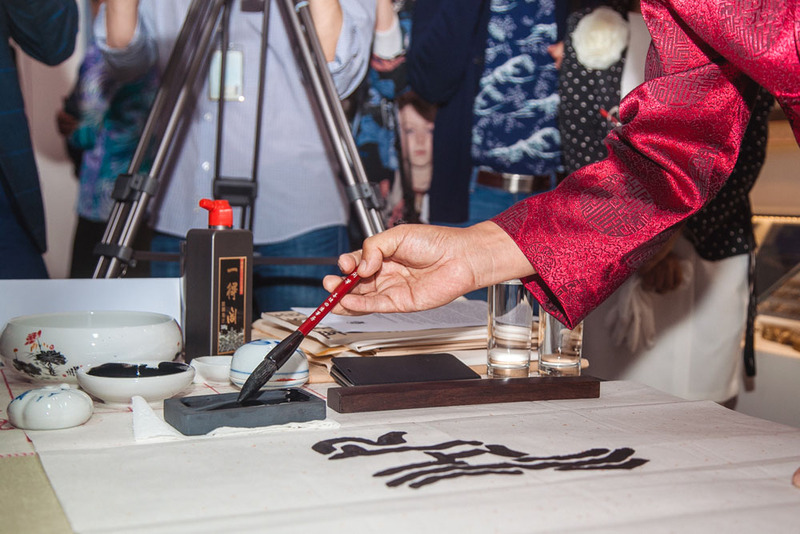 On September 7, the Contemporary Museum of Calligraphy held a grand celebration of its 10th anniversary since foundation. 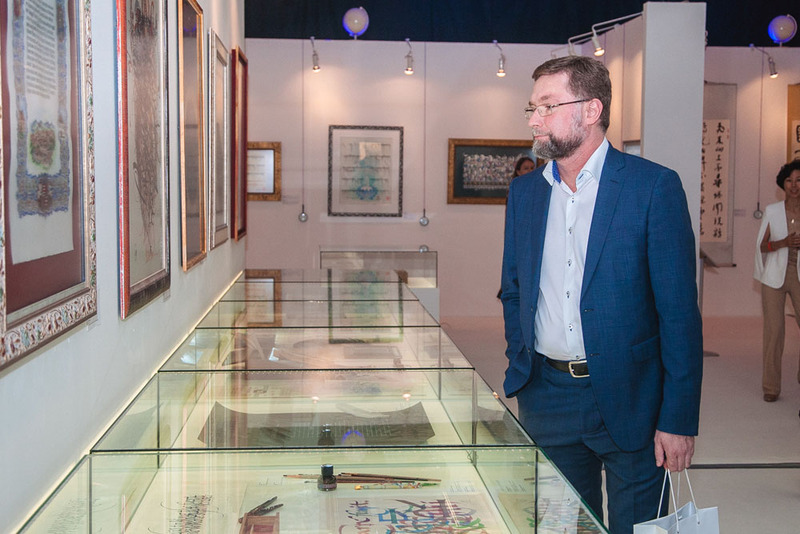 Over the years, the Museum has seen thousands of masterpieces displayed in its premises, created by both renowned calligraphers and talented enthusiasts, bringing fresh ideas and new perspectives to the art of calligraphy. 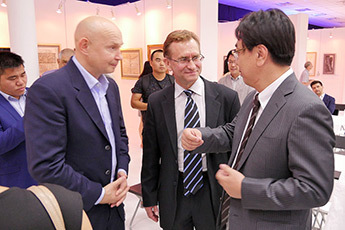 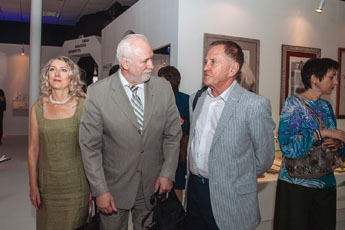 September 7th marked a milestone anniversary for the museum, assembling many honored guests under one roof, including head of the Department for External Economic and International Relations of Moscow Vyacheslav Manuylov, Second Secretary of the Chinese Embassy in Russia Wang Rui, Cultural Attaché of the Italian Embassy in Moscow Walter Ferrara, Professor and Scientific Attaché Aldo Spallone, Cultural Attaché of the Embassy of Israel in Russia Anna Keinan, First Secretary of the Embassy of Mongolia Agvaangor Amarsaikhan, President of the Association of Mongolian Calligraphy Ayushi Dalangurban, Former Deputy Minister of Culture of the Russian Federation Andrey Busygin, who holds a postdoctoral degree in economics, and many others. 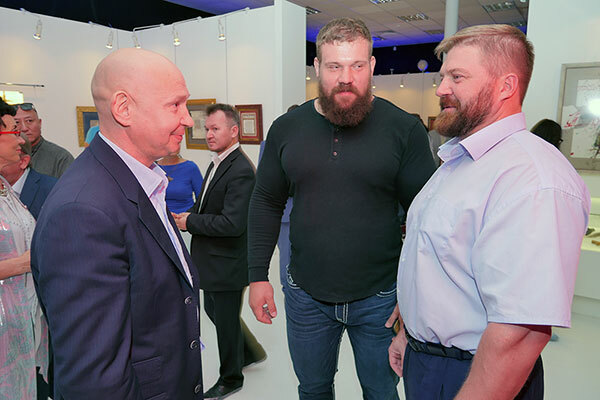 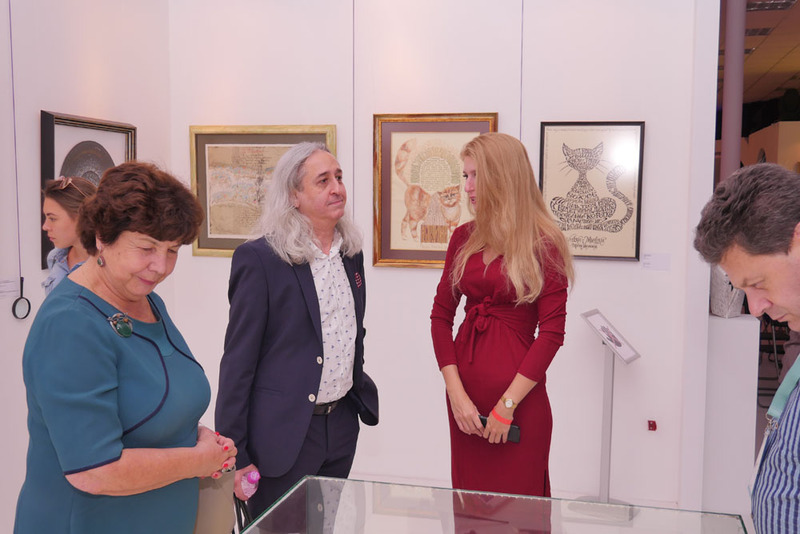 The ceremony was also attended by Lubov Dukhanina, Deputy Chair of the State Duma Committee on Education and Science and Chair of the Russian Znaniye (Knowledge) Society Lyubov Dukhanina. 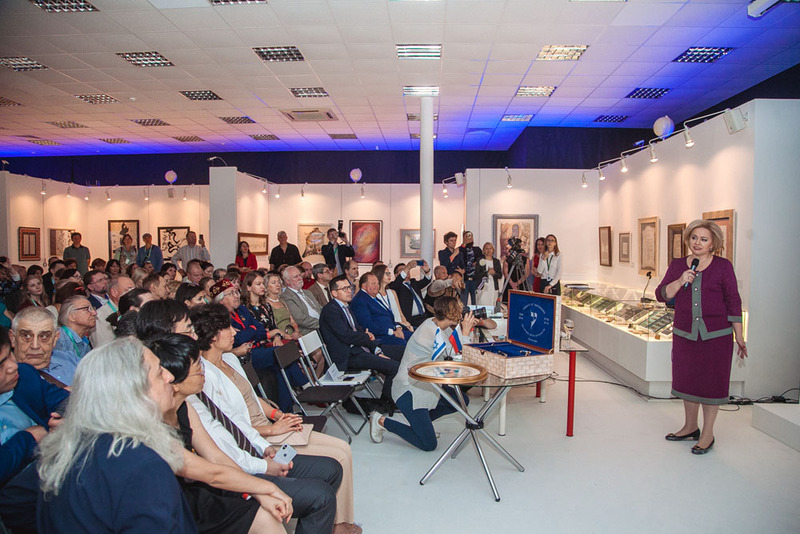 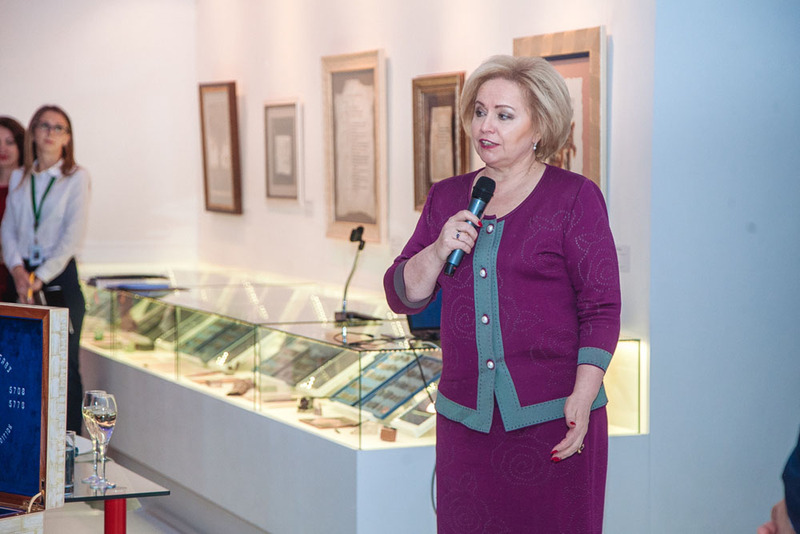 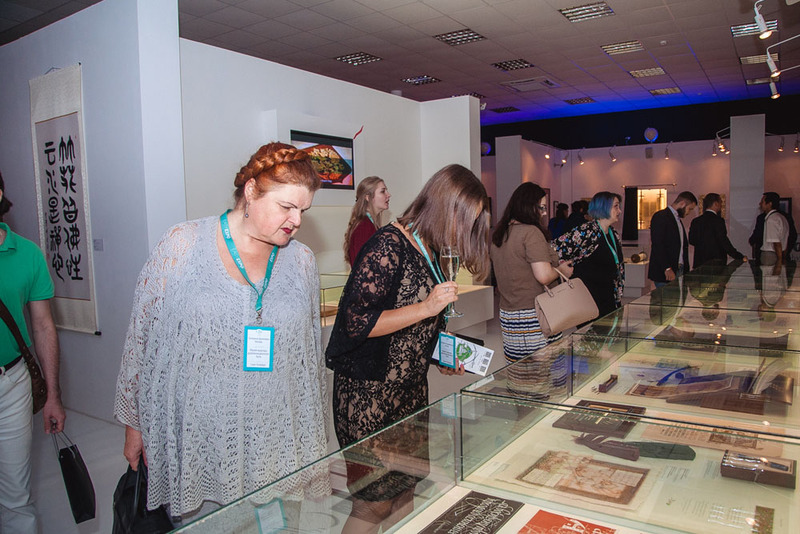 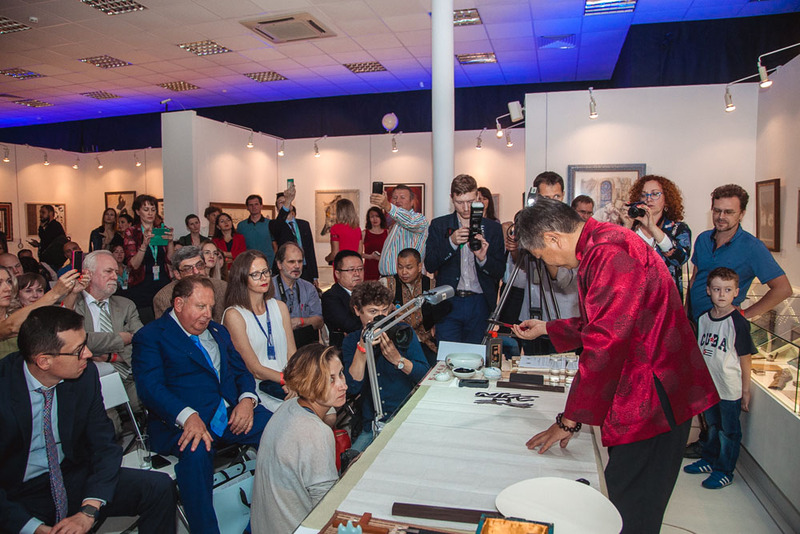 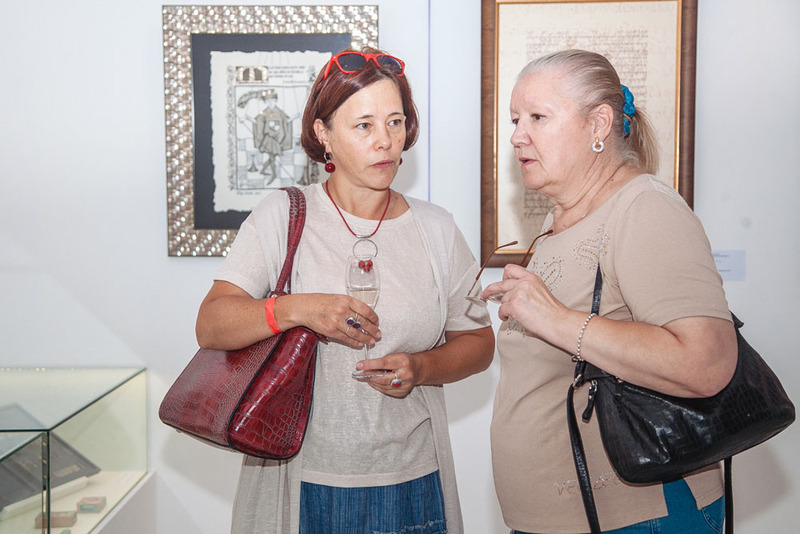 Lubov Dukhanina delivered a welcome speech in which she stressed the role played by the museum in the popularization of calligraphy as a skill which has a positive impact on personal growth and development in a digital age. 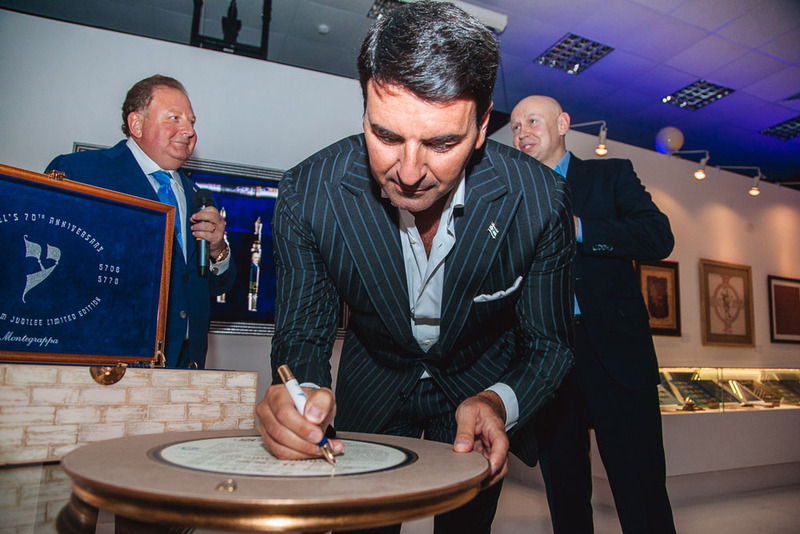 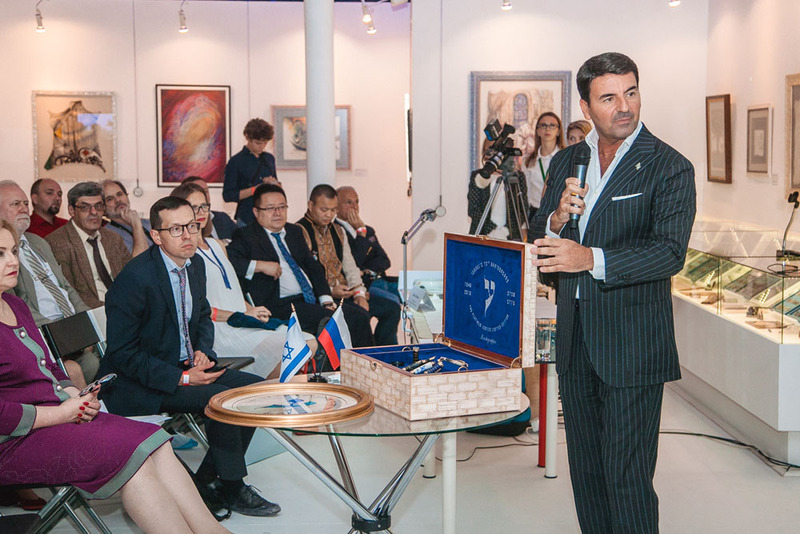 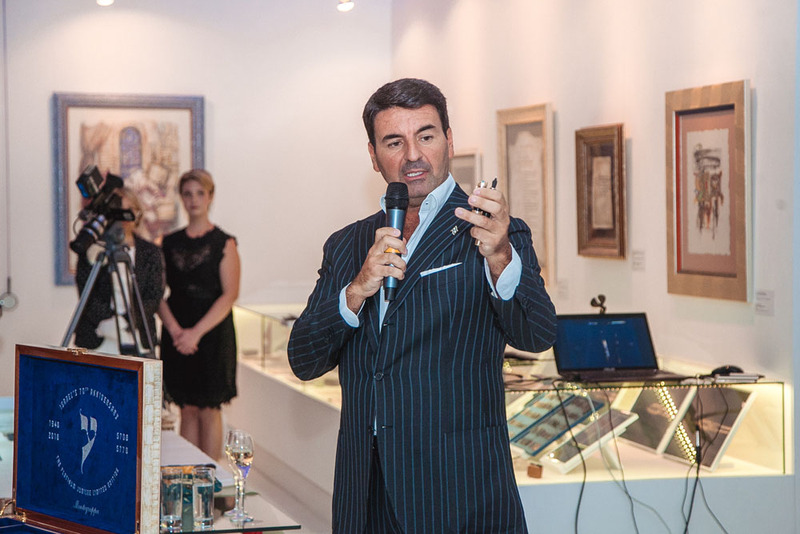 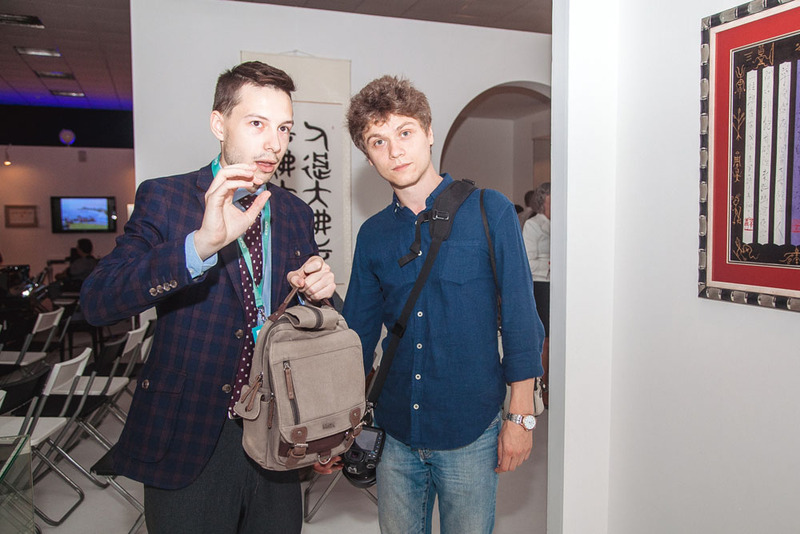 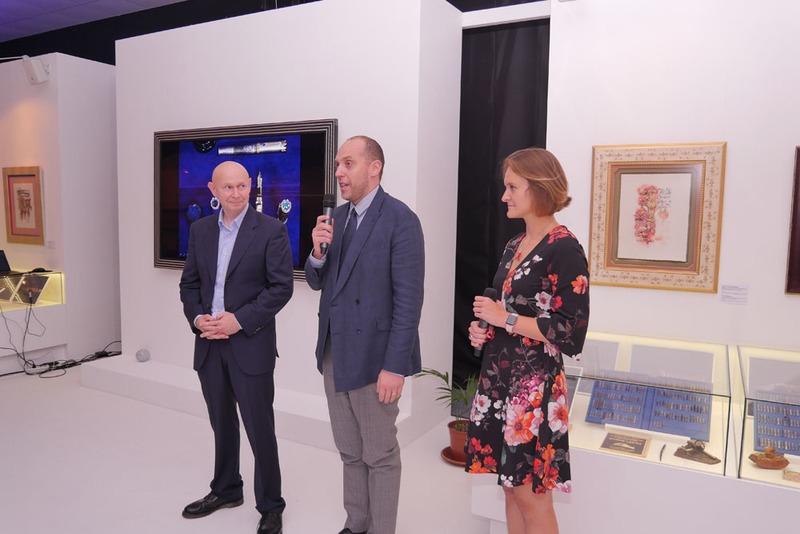 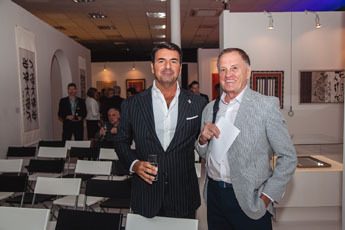 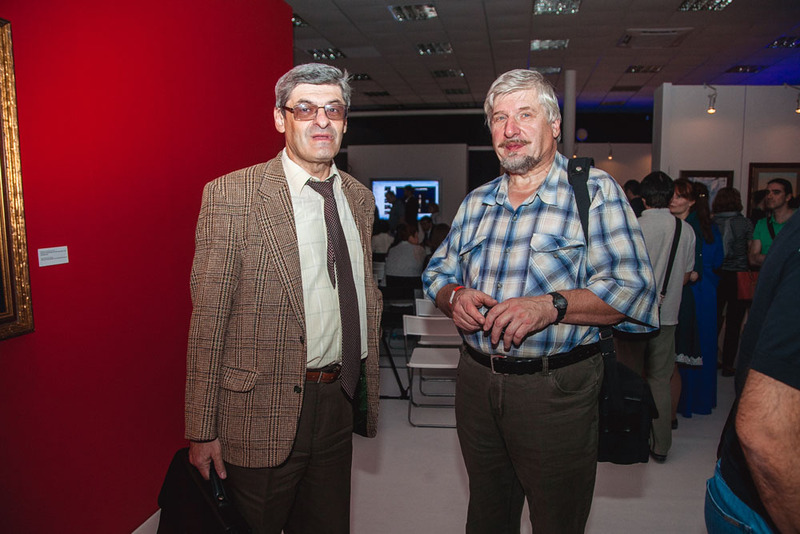 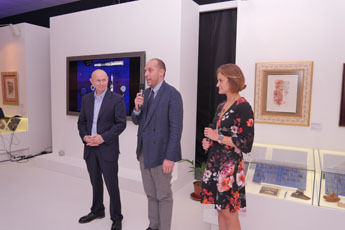 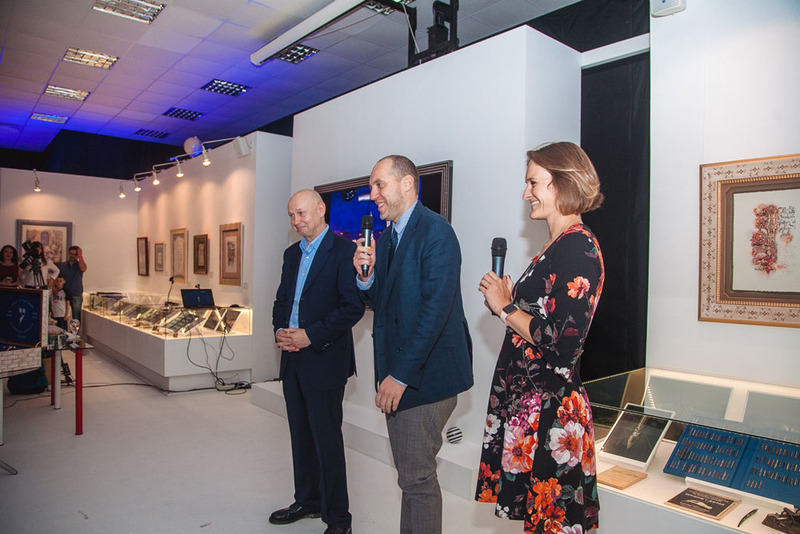 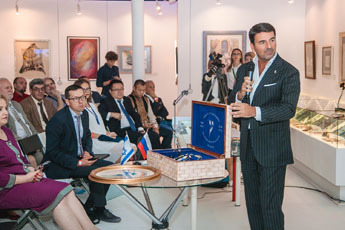 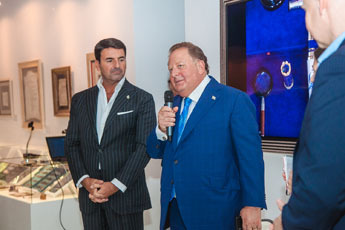 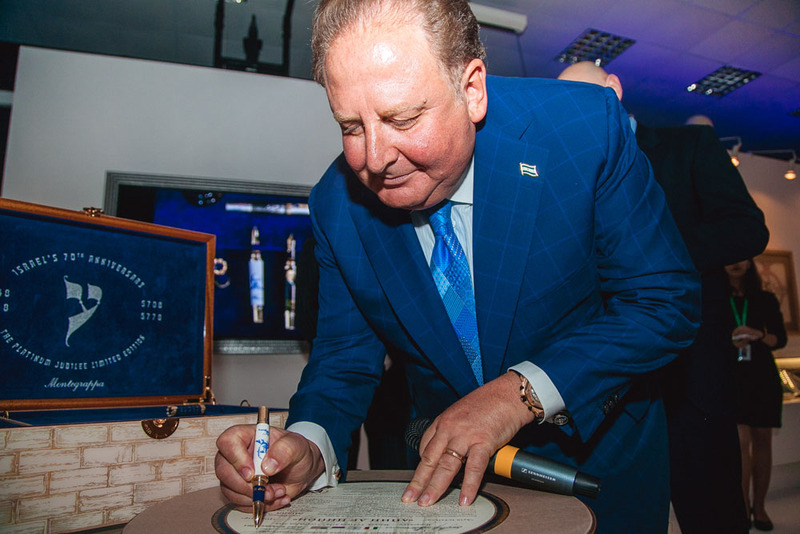 Giuseppe Aquila, owner of Montegrappa, Italy’s leading manufacturer of luxury writing tools, attended the event together with his business partner and an American businessman David Weitzman. 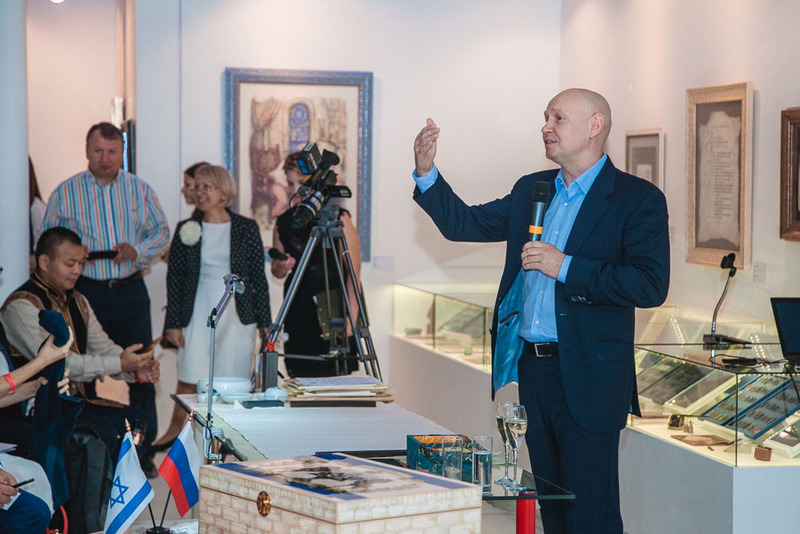 They offered their congratulations and introduced a set of writing instruments created to commemorate the 70th anniversary of the establishment of the State of Israel. The set was created in collaboration with one of our biennial expo participants Avraham Borshevsky, a calligrapher from Israel whose famous Mezuzah parchment scroll was documented by the Guinness World Records. In celebration of the anniversary, the artist presented a gif to the Museum in the form of a turquoise blue calligram saying “Toward Zion” in Hebrew, or Ayin leTziyon, and placed in the center of a round panel. 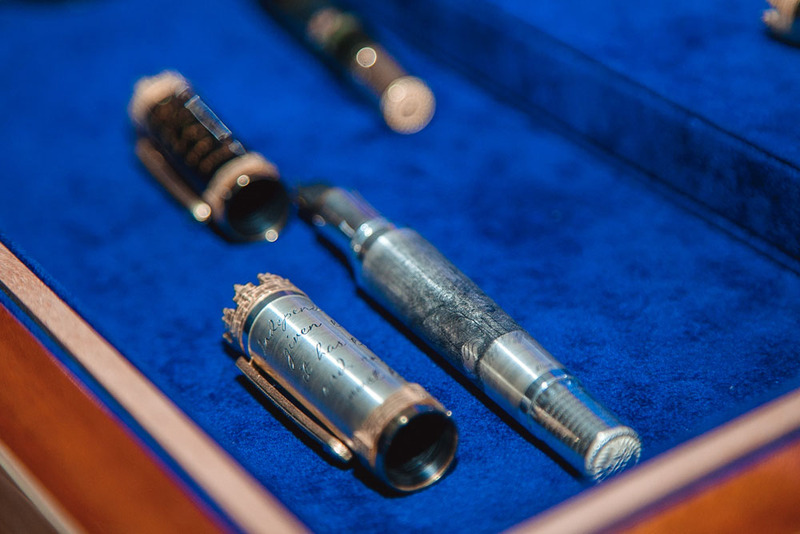 The box for keeping the pens has the same design as the inside of the lid, which is the essential part of the Montegrappa luxury writing set. 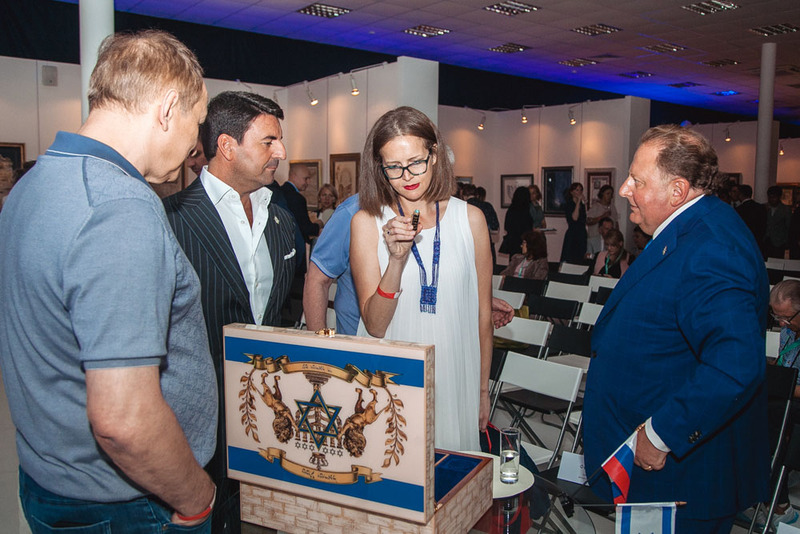 The box has a special mechanism, so when the lid opens, it starts playing Israel’s national anthem. 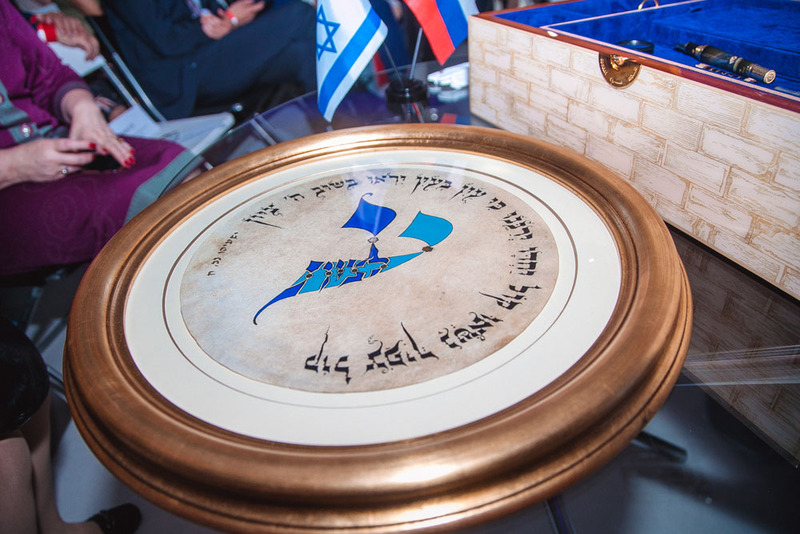 The calligram contains two words from the anthem which were wittily interpreted by Avraham Borshevsky to mean “Israel’s 70th anniversary”. 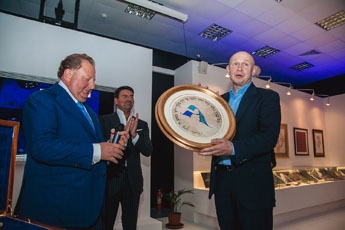 At the end of the presentation, Giuseppe Aquila and David Weitzman signed the calligraphy panel using the pens from the set and presented it as a gift to the Museum. 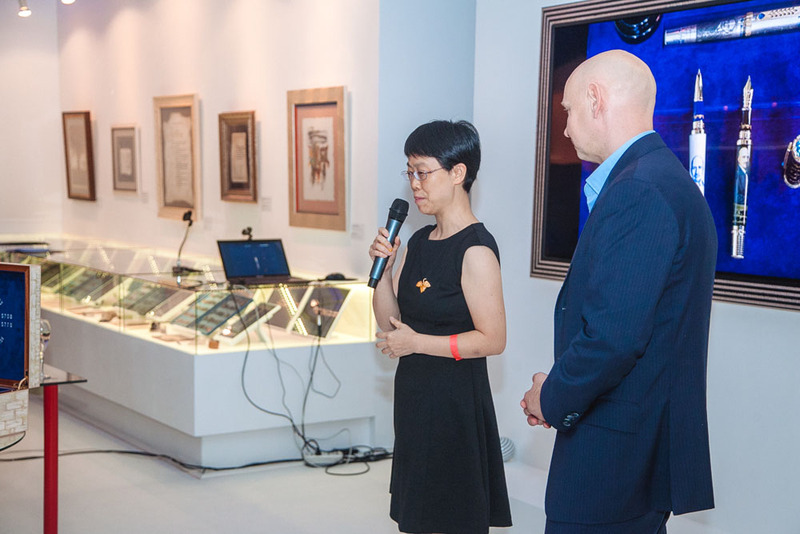 Joining the others in congratulating the Museum on its anniversary was Ms Gong Jiajia, Cultural Attaché at the Chinese Embassy in Russia. 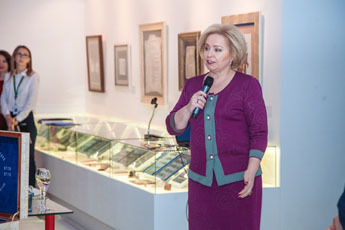 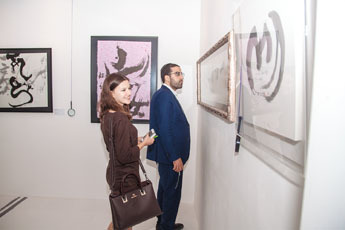 She expressed her admiration for the Museum’s role in fostering arts. 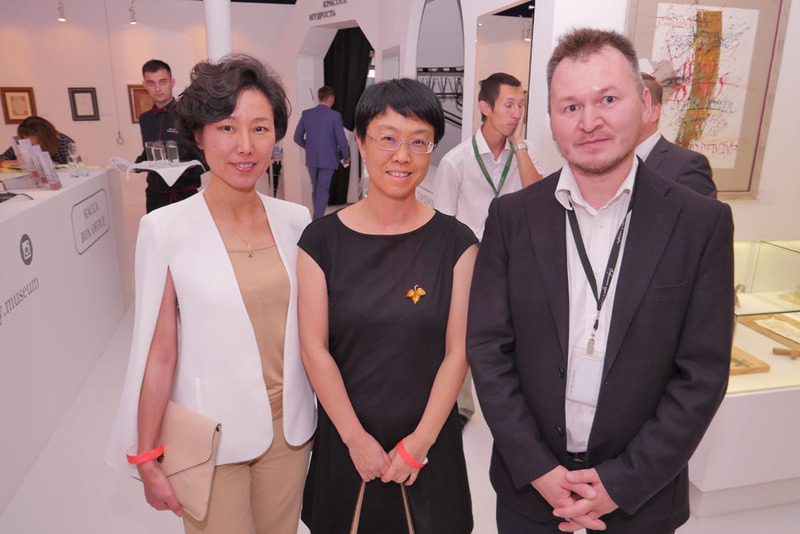 She noted that large-scale bilateral projects contribute greatly to the promotion of friendly relations between the two countries as well as the strengthening of Sino-Russian strategic partnership. 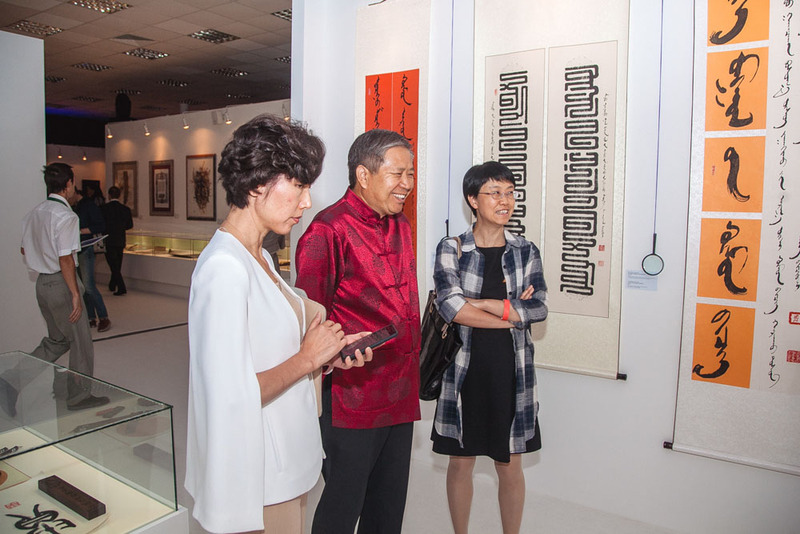 She placed a particular emphasis on the upcoming exhibition “The Great Chinese Calligraphy and Painting: One Belt — One Road” and said that the Chinese Embassy will provide help and assistance with its organization. 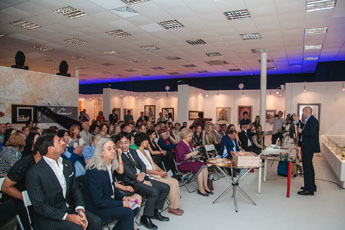 The expo is scheduled for 2019 and will mark the 70th anniversary of the establishment of Sino-Russian diplomatic relations. 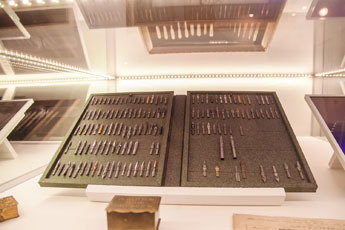 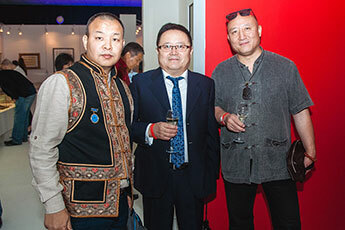 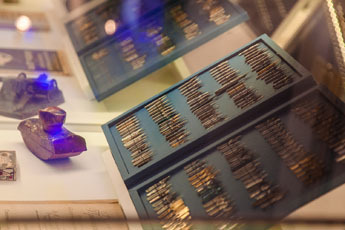 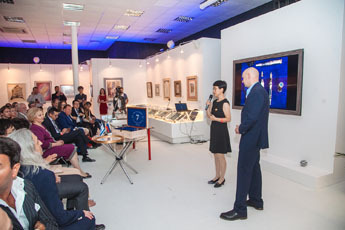 The presentation of Vadim Wolfson’s extensive collection of metal nibs comprised an important part of the program. 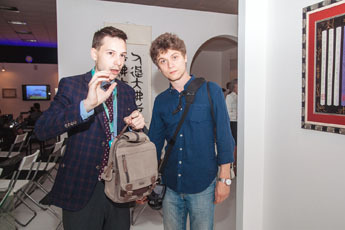 Vadim Wolfson, Director of the private Book Museum and a member of the Moscow Union of Artists as well as the Russian Book Union, displayed his collection of metal nibs, some of which are unique and cannot be found elsewhere and some created to capture important dates of national and international commemoration. 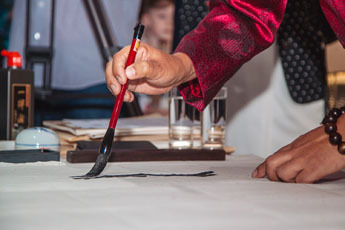 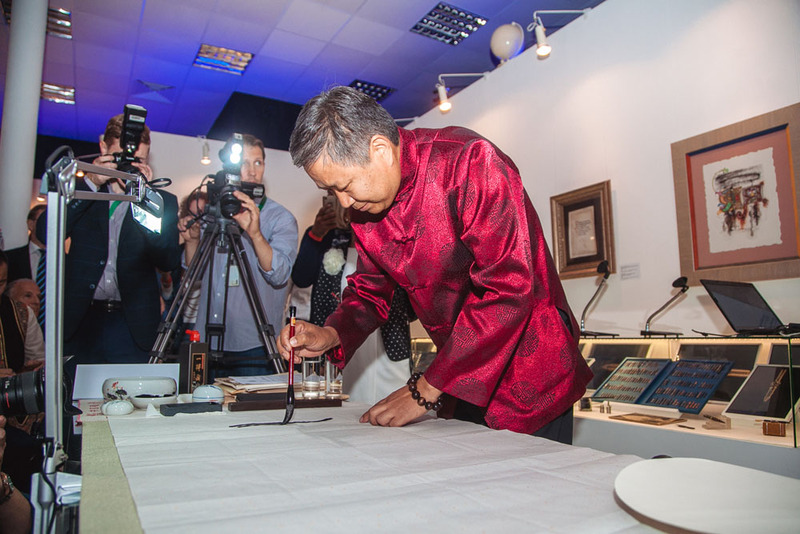 The official part of the celebration concluded with a calligraphy performance given by professor Kong Lingmin, a 76th-generation descendant of Confucius and one of the leading experts on Chinese culture and philosophy. The work was then presented to the Museum as a gift and everyone could examine and admire the piece. 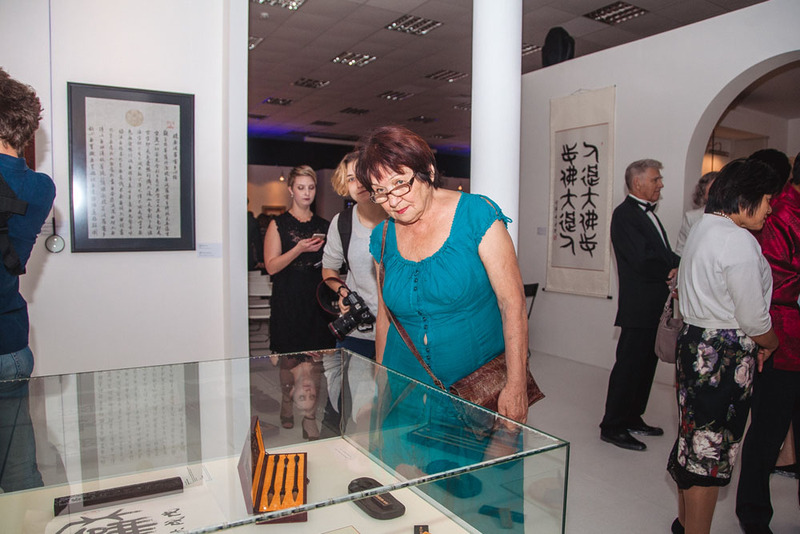 The grand celebration was also attended by a representative of the Zhang Hai Museum of Calligraphy, the largest calligraphy museum in China named after Zhang Hai, an outstanding calligraphy artist. 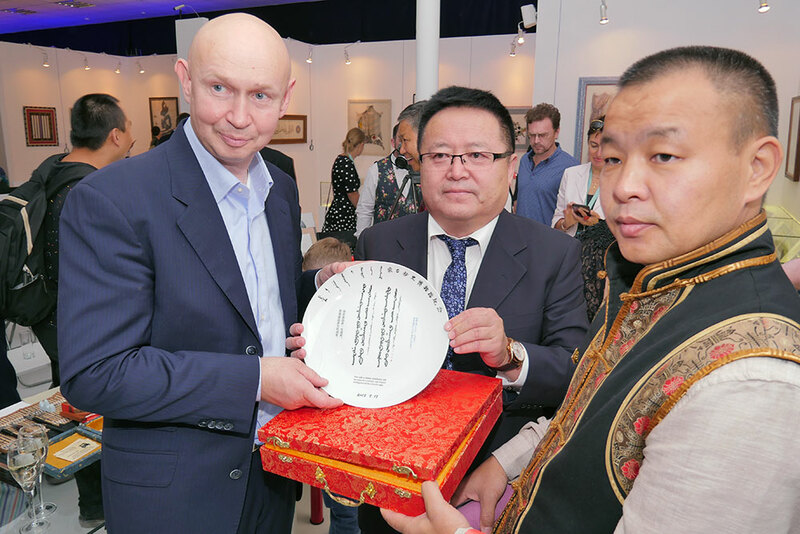 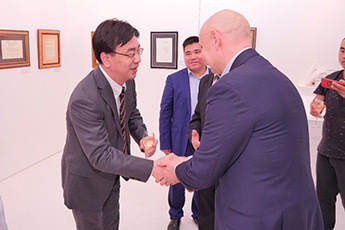 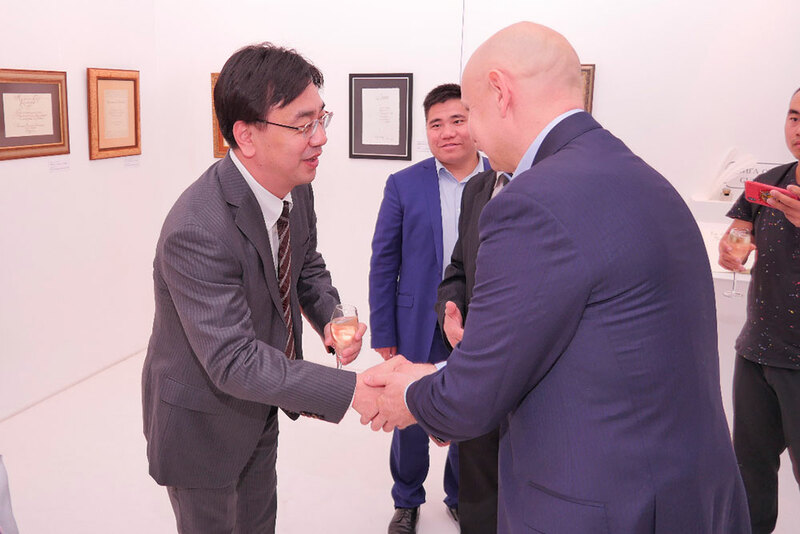 Head of the cultural foundation Zhang Guoliang congratulated Alexey Shaburov on behalf of the calligraphers of the People’s Republic China. 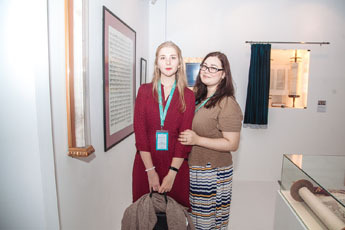 It has only been 10 years since its foundation but the Contemporary Museum of Calligraphy has already become an important international venue attracting the world’s best calligraphy artists and committed to the goal of increasing awareness and appreciation of Russian people for the beauty and uniqueness of world calligraphy. 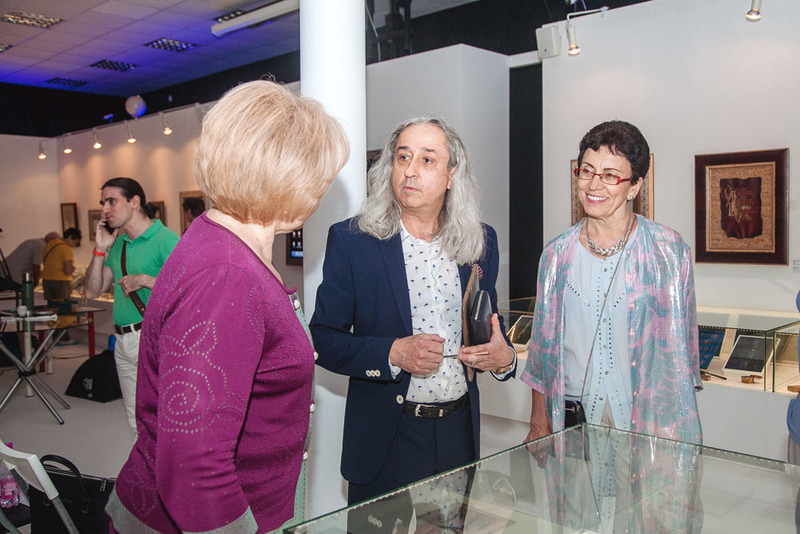 The Museum has brought together renowned masters and people deeply committed to their work. As we celebrate the Museum’s first decennary anniversary, we are pretty sure that it is just the beginning of a big and interesting journey. We are already working on new projects, developing fresh ideas, and looking for new perspectives. We would like to thank everyone following the same path, supporting us, and doing their best to preserve the historical heritage and the international culture of writing!